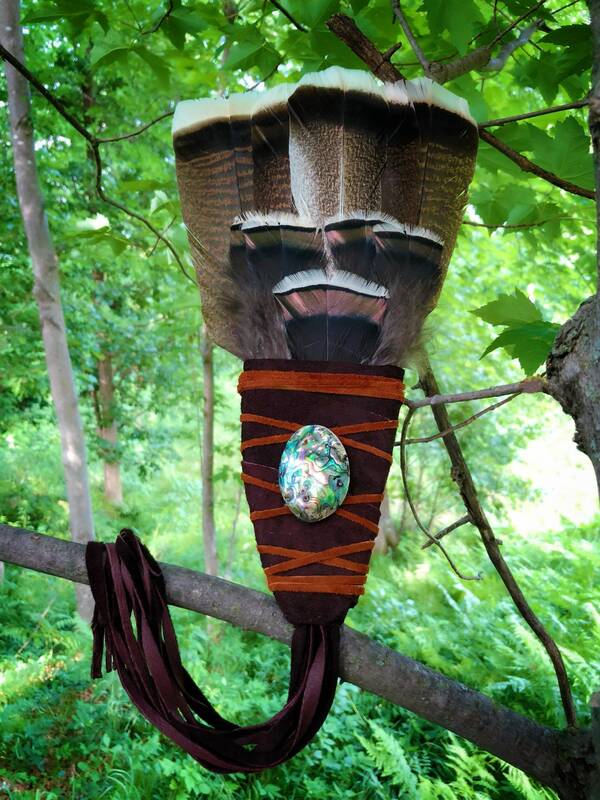 Authentic Native American traditional feather fan. 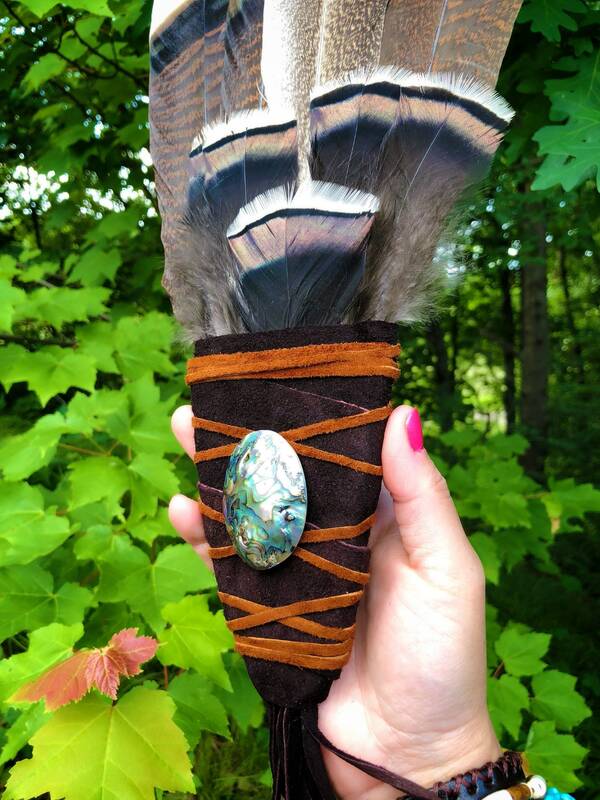 Made with sage blessed turkey feathers, center abalone shell, buckskin wrapped handle and fringe. 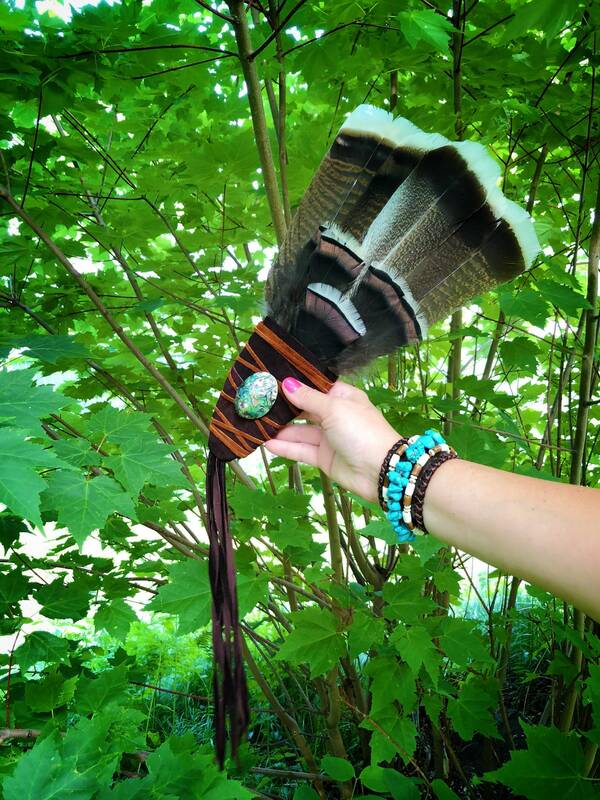 This fan measures a total of 25” from feather tips to the end of the fringe. Feathers themselves measure 9”,handle measures 6".